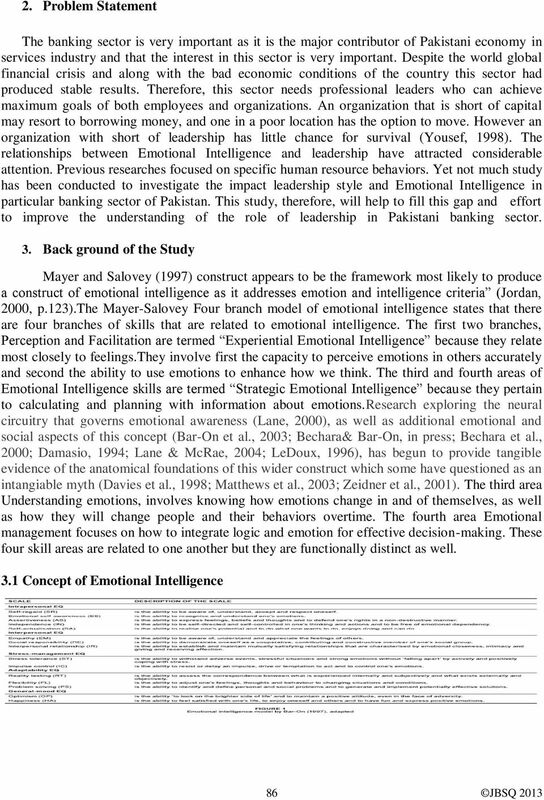 Download "Emotional Intelligence and Effective Leadership"
1 Journal of Business Studies Quarterly 2013, Volume 4, Number 3 ISSN Emotional Intelligence and Effective Leadership Bano Fakhra Batool, Superior University Abstract Emotional Intelligence has become increasingly popular as a measure for identifying potentially effective leaders, and as a tool for developing effective leadership skills. 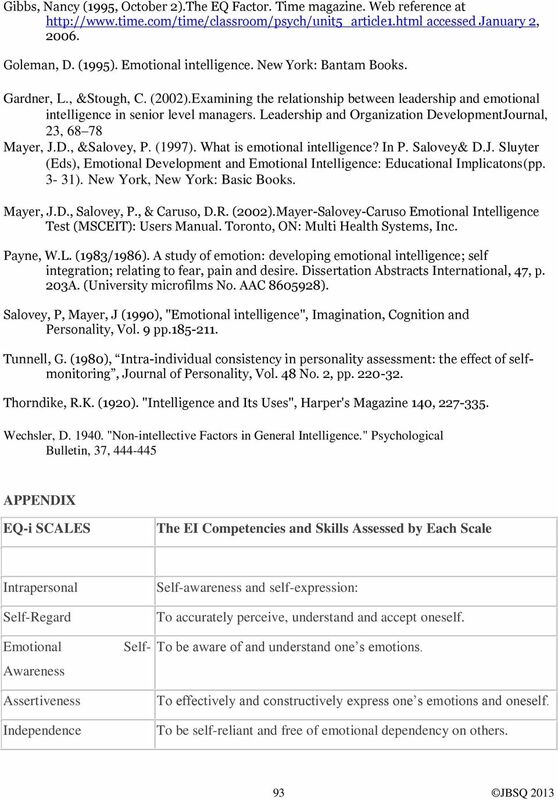 There is little empirical research that substantiates the efficacy of emotional intelligence in these areas. 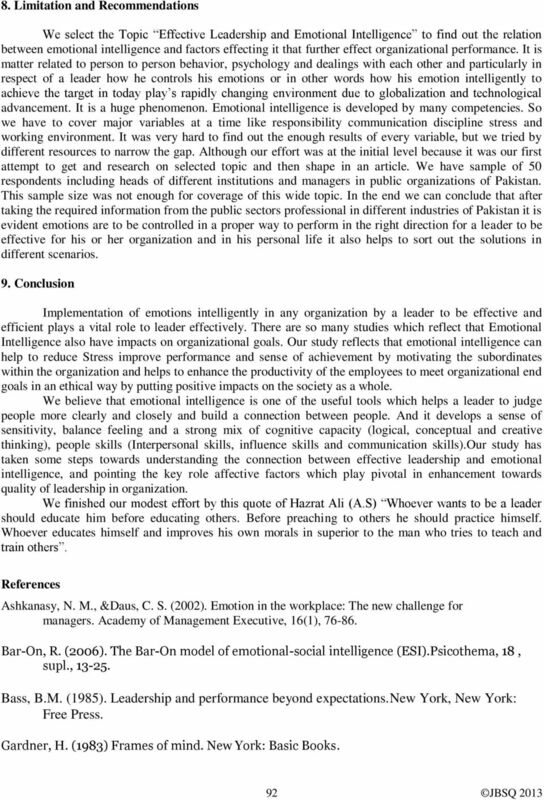 The aim of the present paper is to explore the relationship between emotional intelligence and effective leadership to evaluate the tendency of emotional control of the working class both male and female at a managerial level in a private and public sector of Pakistan mainly Banking sector. A survey of 50 people is conducted by distributing. Random sampling technique is used to answer the instrument of the study. SPSS software was used to analyze the data collected based on descriptive statistics (mean, standard deviation, percentage. 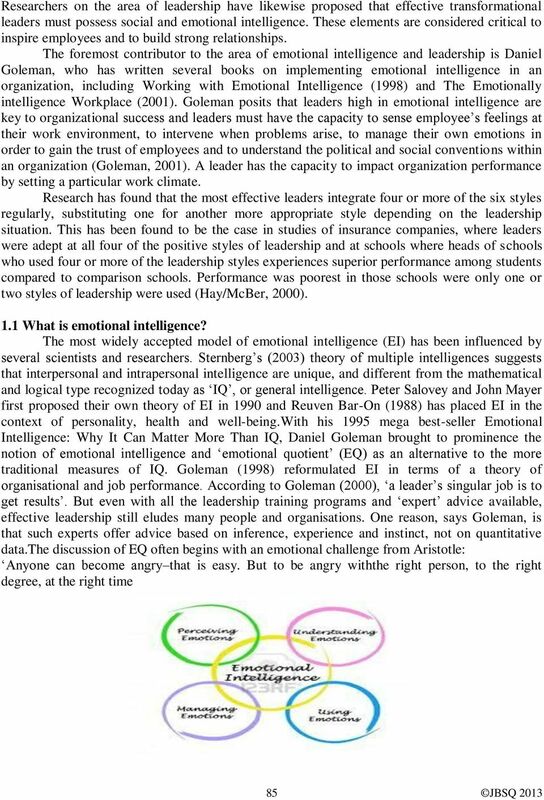 The result indicates that the relationship between leadership style and Emotional Intelligence is positive and significant. 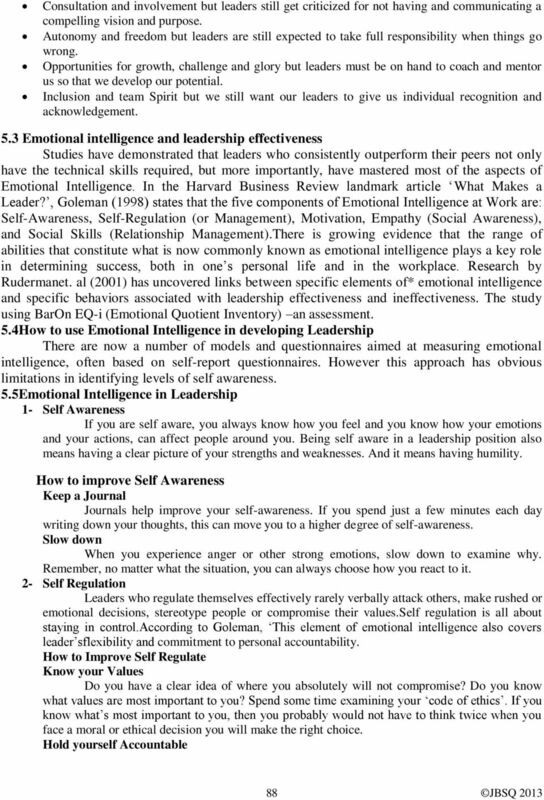 Key words: Leadership, Stress, Performance, Motivation, Communication and Emotional Intelligence. 1. 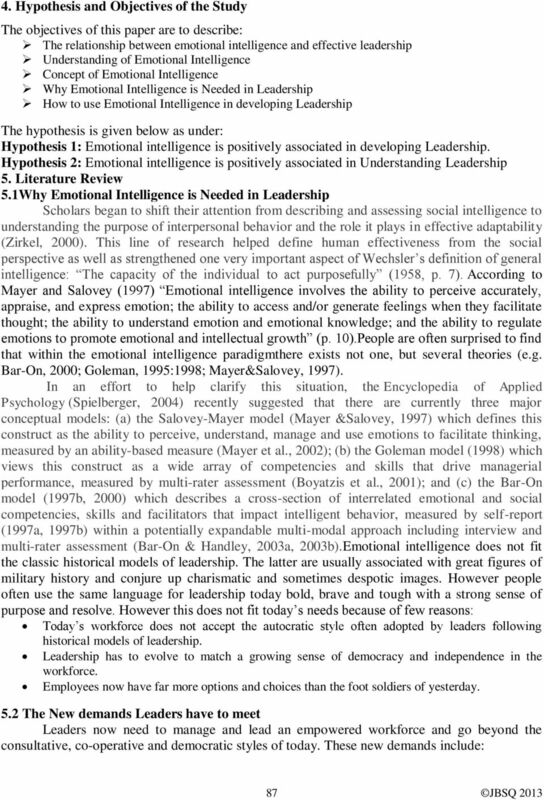 Introduction One of the most applied constructs which emotional intelligence has been associated with is that of leadership. 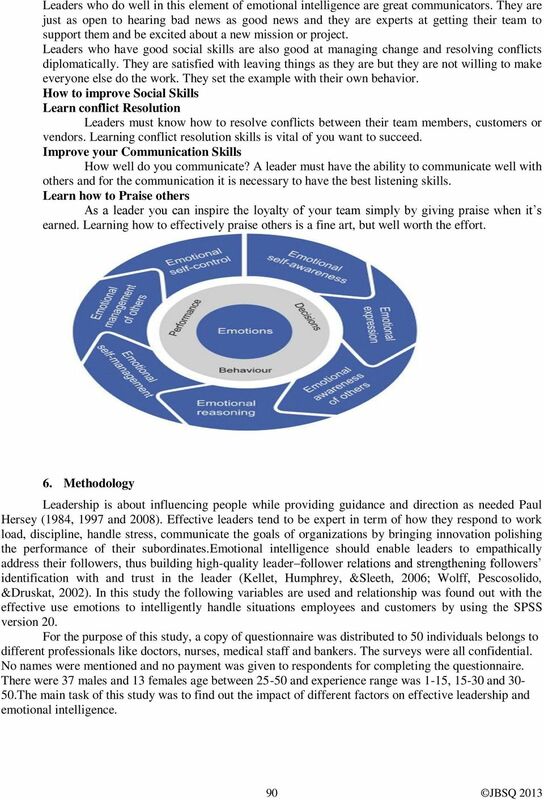 The leadership literature has produced countless theories outlining which characteristics compose the most effective leader, however, current academic research in the area describes two distinct types of leaders: transformational and transactional (Mandell& Pherwani,2003). Transformational leader stimulates interest among colleagues, inspires a different outlook on the work, generates an awareness of the goals of the organization, develops others to higher level of ability and motivates others to consider the interests of the group over their own interests. 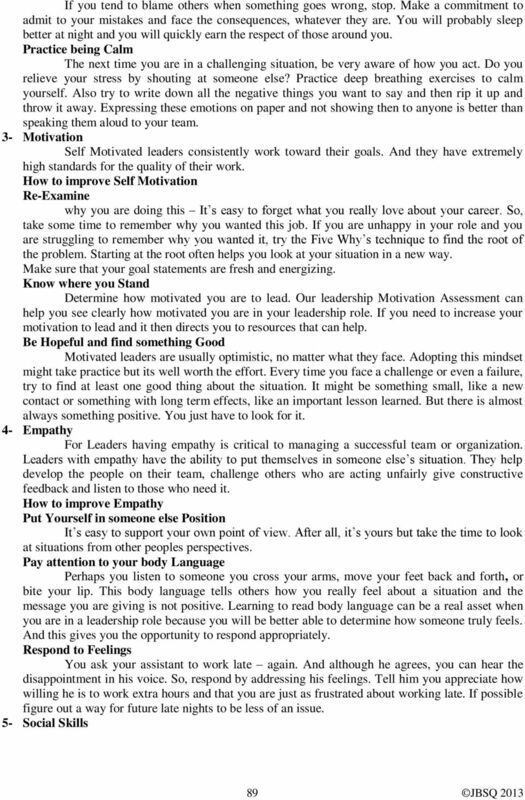 Along these lines, transformational leadership is said to be comprised of the following four dimensions: idealized influence, inspirational motivation, intellectual stimulation and individual consideration (Bass &Avolio, 1994). 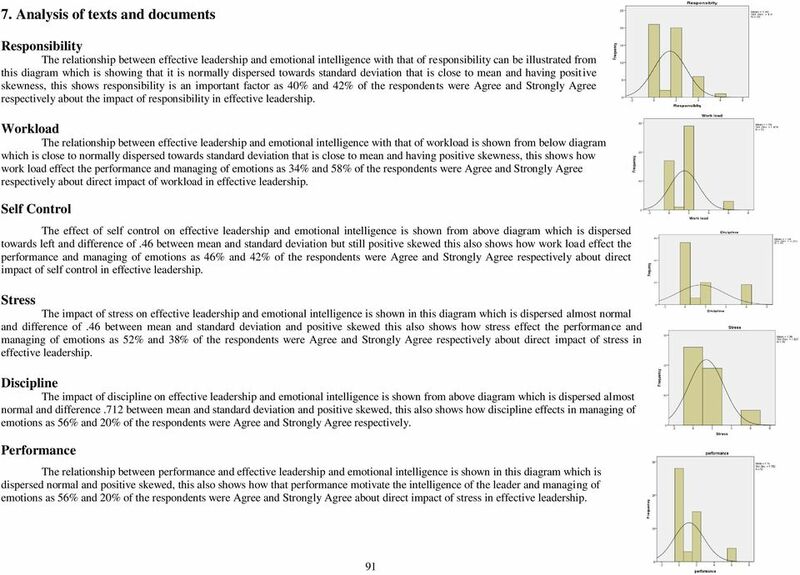 Alternatively, the transactional leader is one whom rewards (or disciplines) staff on the basis of their performance. They emphasize work standards, task completion and employee compliance while relying heavily on organizational rewards and punishments to influence employee performance (Bass &Avolio, 1994). 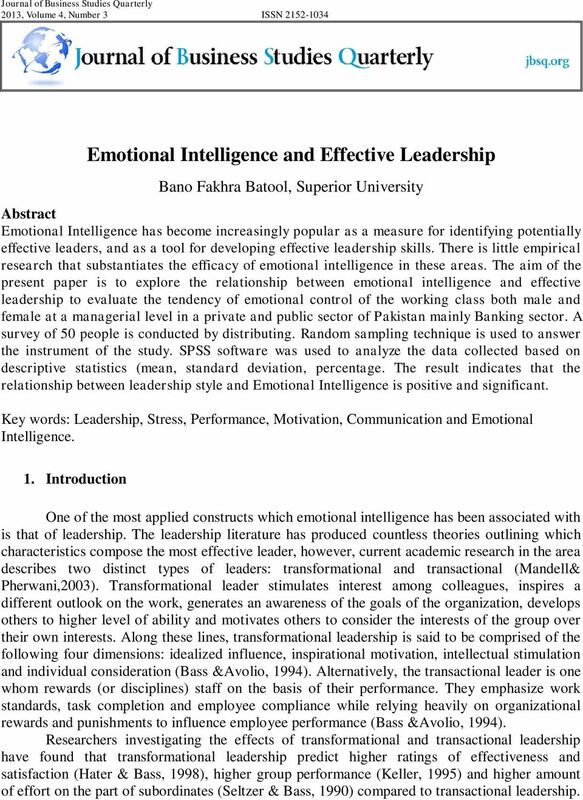 Researchers investigating the effects of transformational and transactional leadership have found that transformational leadership predict higher ratings of effectiveness and satisfaction (Hater & Bass, 1998), higher group performance (Keller, 1995) and higher amount of effort on the part of subordinates (Seltzer & Bass, 1990) compared to transactional leadership. But until a person can say deeply and honestly, "I am what I am today because of the choices I made yesterday," that person cannot say, "I choose otherwise. Seek first to understand, then to be understood. 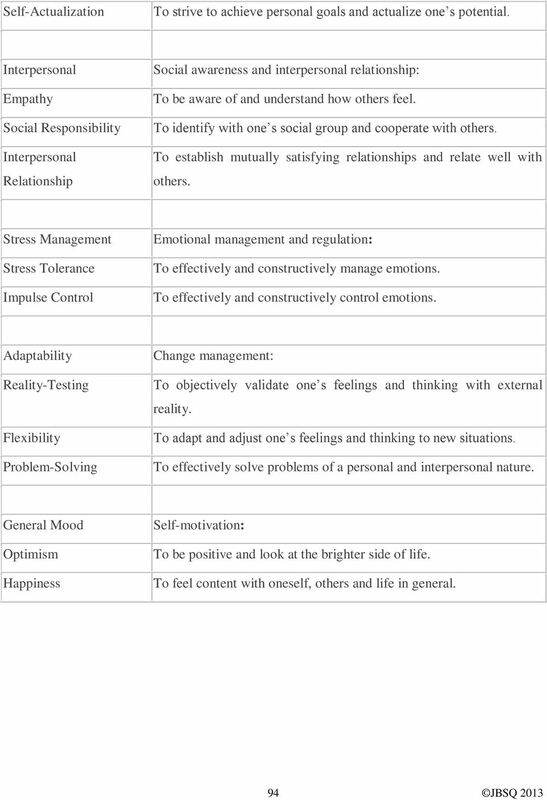 Sam Sample 27 Mar 2013 EXPERT STANDARD REPORT PERSONALITY JTI JUNG TYPE INDICATOR. Psychometrics Ltd. The Good Roommate Guide Contents: p. 2 COMMUNICATING WITH YOUR ROOMMATE 101 p. 3 IDENTIFYING COMMUNICATION STYLES p. 4 TOP 10 TIPS FOR HEALTHY RELATIONSHIP p. 5 10 EFFECTIVE WAYS TO HANDLE CONFLICT p.
Interview Questions Colleges and units are required to develop a core set of questions for each selection process as a mechanism for gathering consistent information about each candidate they consider.